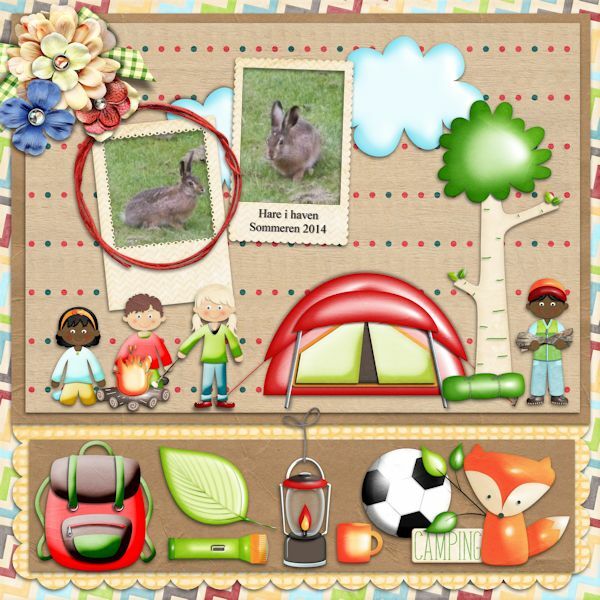 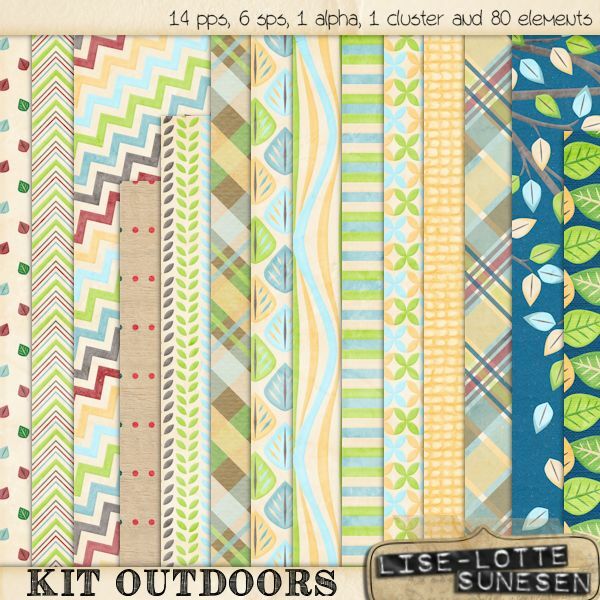 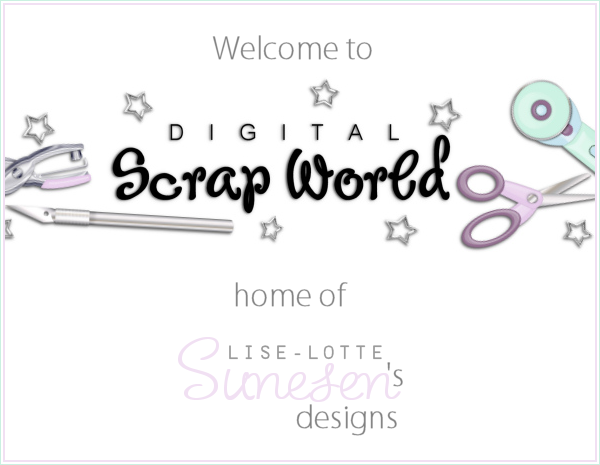 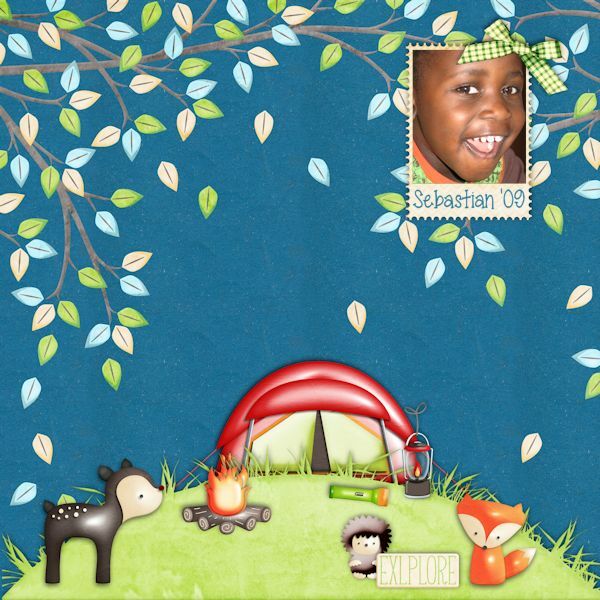 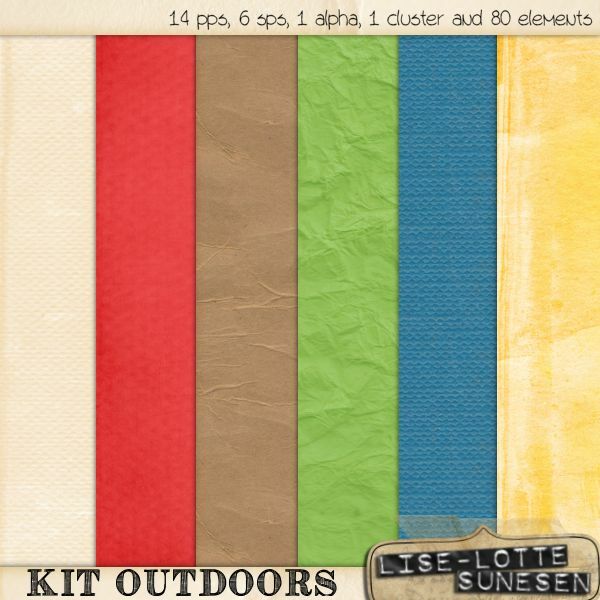 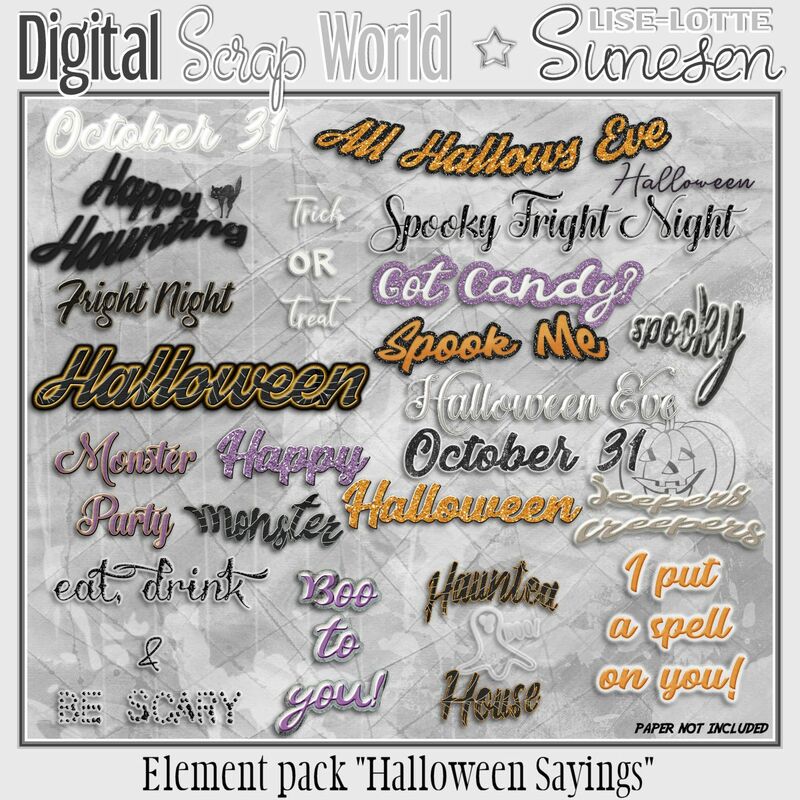 "Outdoors" is a fun digital scrapbooking kit for making layouts, invitations and cards with a camping and/or outdoor theme. 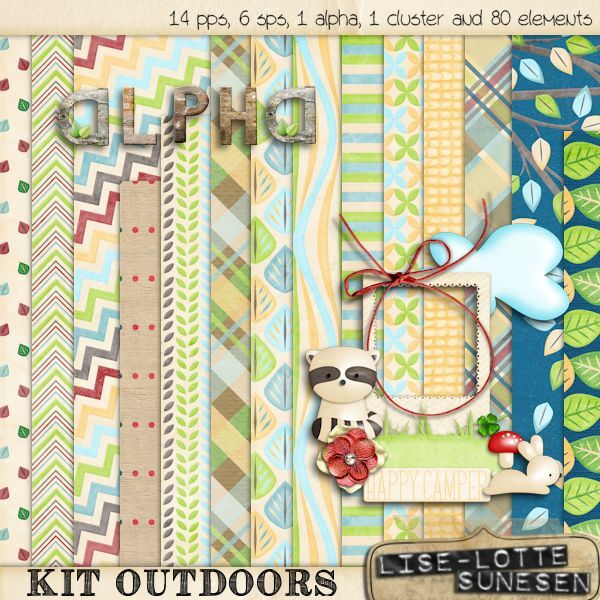 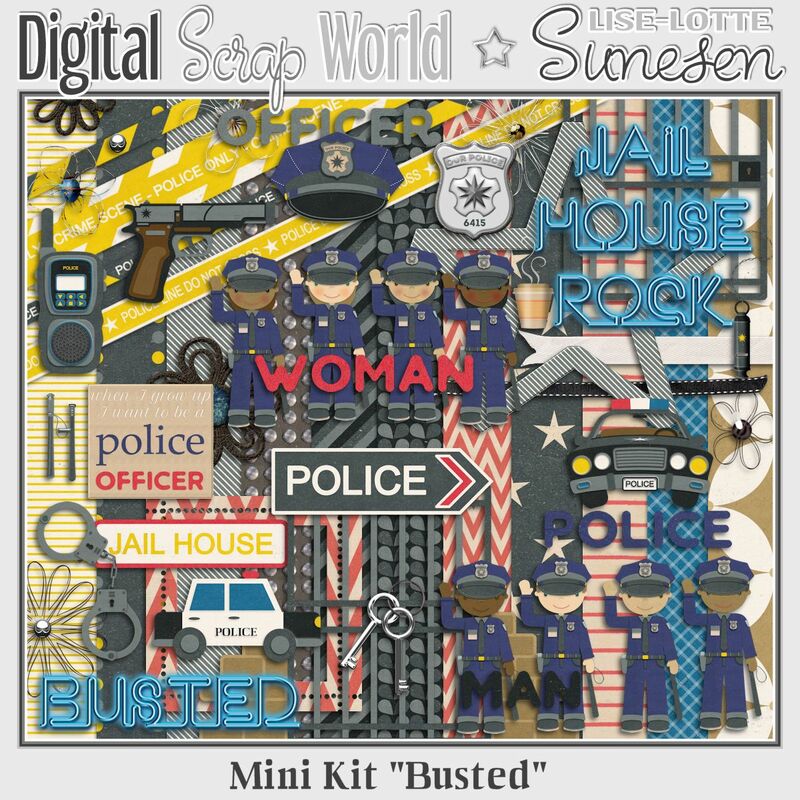 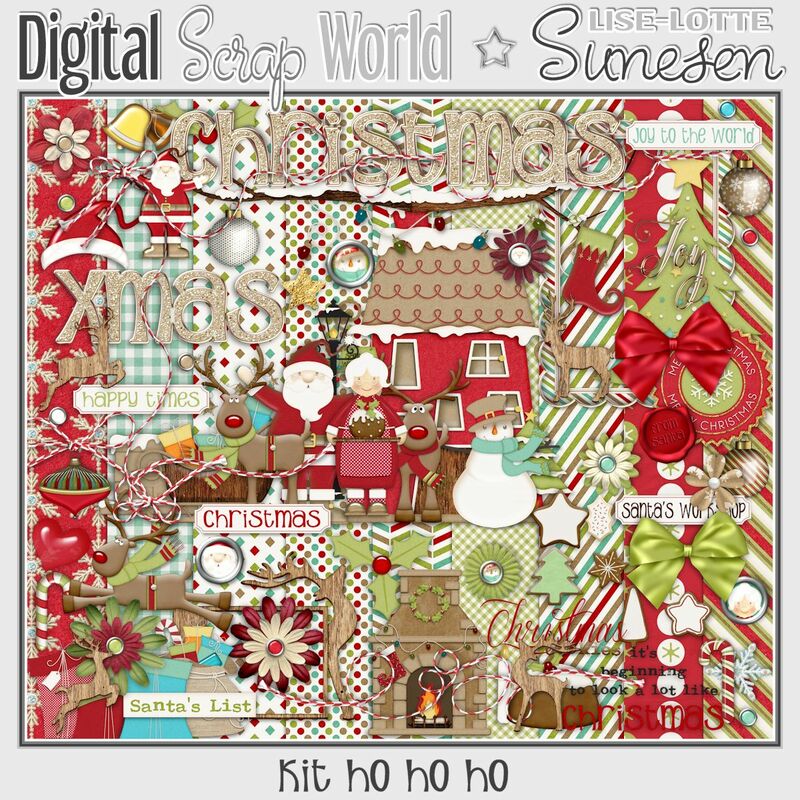 The kit has 14 pattern papers, 6 solid papers, 1 alpha (a-z), 1 cluster (which has a shadow applied) and 80 embellishments. 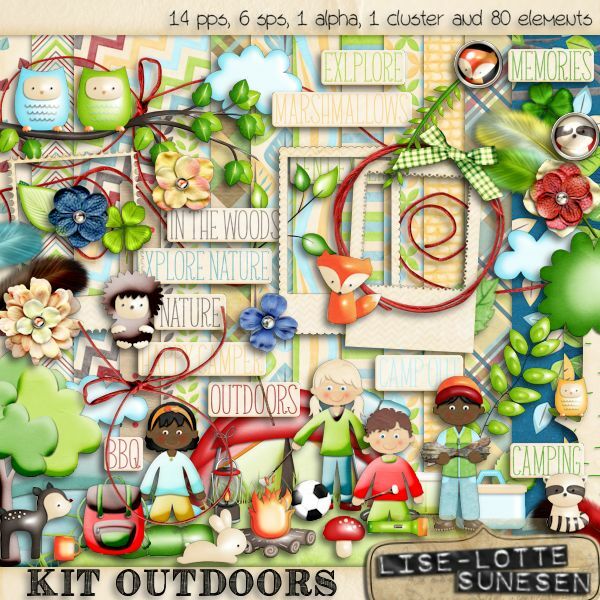 Content of the embellishments: 1 bagback, 1 bow, 2 boys, 4 brad buttons, 4 (leaves) branches, 3 clouds, 2 coolers, 1 deer, 5 feathers, 1 fire, 1 flashlight, 5 flowers, 1 football, 1 fox, 3 frames, 2 girls, 1 (piece of) grass, 1 hedgehog, 1 lantern, 4 leaves, 1 log, 2 marshmallows, 1 mug, 1 mushroom, 4 owls, 1 rabbit, 1 raccoon, 2 shamrocks, 2 sleeping bags, 5 strings, 2 tents, 2 trees and 12 words.